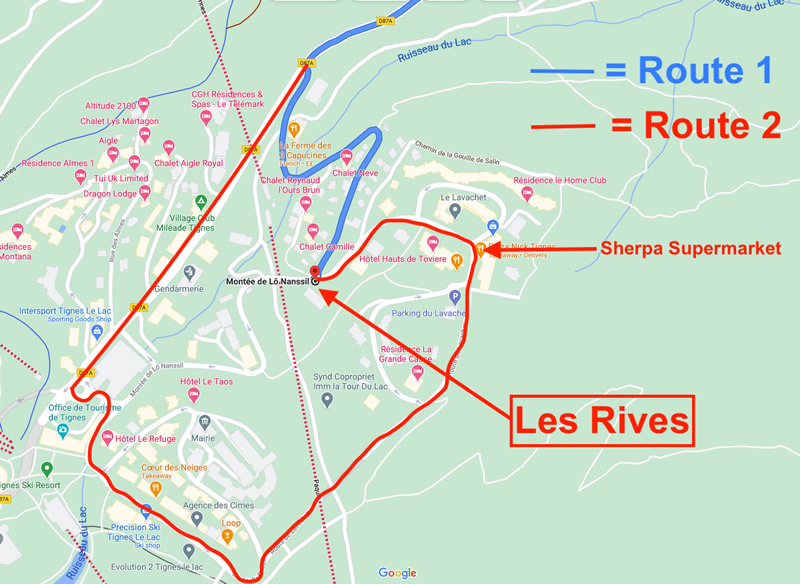 The Les Rives is in Le Lavachet. There is a bus stop directly outside, providing you with quick and free access to the rest of the resort and takea you directly to the lifts at the bottom of the Glacier for summer / Autumn skiing. 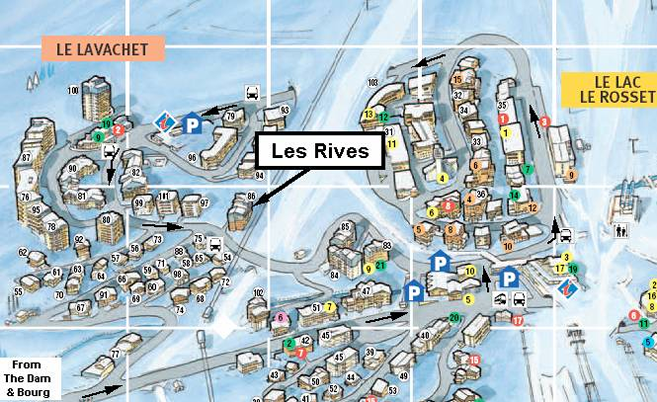 A two minute walk in the opposite direction takes you to the central part of Le Lavachet where you’ll find the supermarket, restaurants, bars and the Tignes Spirit ski and board hire shop, ideal for your weekly equipment rental and ski or snowboard sales. Number 15 is situated on the fourth floor, accessible by lift. It is a spacious and welcoming apartment with a large cosy living area, large solid wood dining table and modern kitchen. 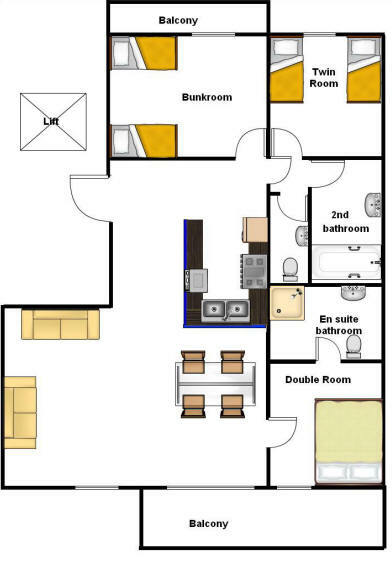 Leading off from the dining room is the master bedroom with en-suite, and at the opposite side of the apartment are two bedrooms, one with the two sets of bunks and one is a twin room, there is also a separate bathroom and WC. 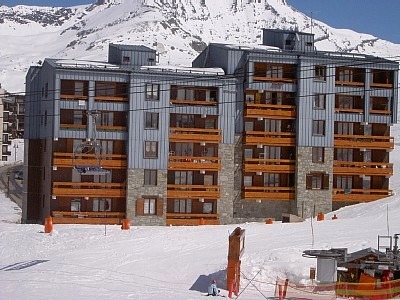 There are two balconies, one east facing and one west facing, allowing views onto the nursery slope and up towards Tignes Le Lac. The living area has a large television and DVD player, with a large selection of DVDs and books provided for your enjoyment. 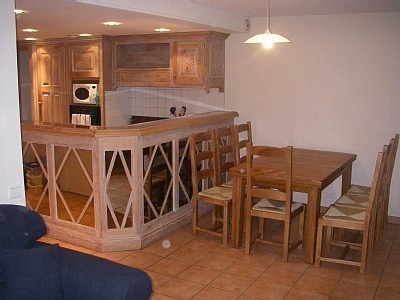 The kitchen has a full size oven, microwave, dishwasher, fridge, kettle and toaster. In the master bathroom is a full size bath with wall mounted shower attachment, and wash basin. 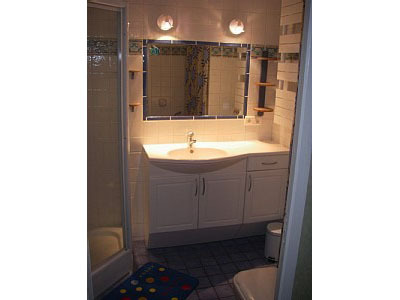 The en-suite has a shower cubicle, wash basin and toilet. There is plenty of room for storage in this apartment, two of the bedrooms have large fitted wardrobes and the master bedroom has a large set of drawers. 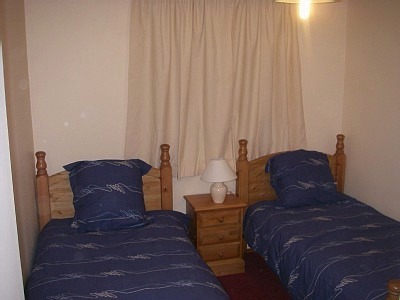 The apartment can sleep up to ten people, with six single beds, a double bed and a double sofa bed in the living area. 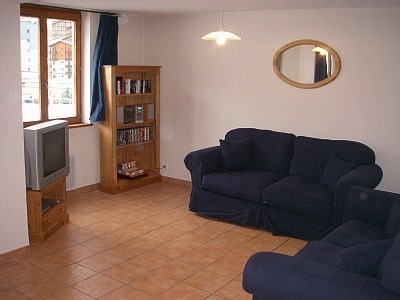 There is a large ski locker on the ground floor with plenty of room for your group’s boards, skis and boots. There is also a private parking space available with this apartment, conveniently located right next to the apartment block with an access door straight into the building. 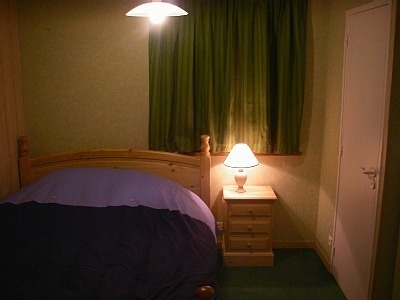 Bed linen is provided with this apartment, and towels are available to hire from us in resort. Please note: All our apartments are non-smoking.